Two weeks ago, Bleeding Cool’s Matthew Snyder looked at a series of robberies made against Invincible Comics in Modesto, California, and how the comic store arranged a sting to try and recover the stolen comics and catch the thief. 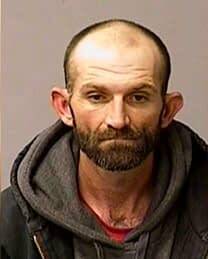 As a result of the information they gathered, Modesto police have arrested 39-year-old David Garcia connection to the break-ins in which around $5,000 worth of comic books were stolen, including the recovered Amazing Spider-Man #301 and Superman’s Pal Jimmy Olsen #134. The police are also looking out for his alleged accomplice, 37-year-old Danett Hansen. Anyone with information relevant to the investigation is asked to contact Modesto Crime Stoppers at (209) 521-4636.